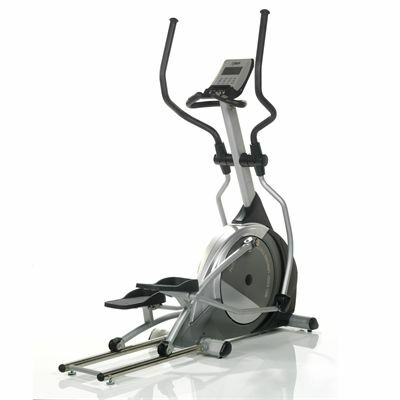 The DKN XC-150i elliptical cross trainer comes with wheels for easy transportation and is supplied with articulating foot pedals that angle with the elliptical stride reducing stress and strain to ankles and feet. Heart rate with the XC-150i can be easily achieved through the pulse grip sensors, or for the ultimate accuracy an optional chest belt can be used with a wireless receiver. The backlit LCD console provides feedback on time, speed, distance, calories, watts and heart rate, whereas the 20” (50.8cm) stride length makes the machine best suited for individuals who are up to 205cm (+/- 6.5') tall. The cross trainer’s console perfectly integrates iPad, iPad 2 and Android tablets (3.1 or higher and 1280 x 800 min resolution) and offers a great selection of challenging programmes including manual, 12 pre-set (4 beginner, 4 advanced, 4 performance), heart rate control and watt control to help you achieve your training goals faster. Multi Tasking: The DKN Motion app is fully multitasking to enable you to read your emails, listen to the favourite music, watch movies or use social media websites while a programme is running in the background. Workout History: The feature lets you save the crucial data after each workout session such as date, duration of exercise and number of calories burnt, as well as to view the 10 most recently saved sessions for the selected user. 12 User Profiles: Each profile consists of a cartoon style avatar, name, age, weight, height and gender. High Resolution Touch Control: With the revolutionary DKN Motion, your tablet can be transformed into an easy-to-use, interactive console and you can make easy selections while exercising using touch and swipe actions. i-Routes: This amazing feature allows for exploring some of the world’s most iconic tours. It provides you with a wide selection of the most iconic routes from various parts of the world and lets you to work out on one of them at your own home. All you need to do is to select a route, press start and enjoy yourself following the map at your own pace. Thanks to the amazing DKN iWorld application you can explore any spot on the globe by selecting favourite or creating your own routes and following online using Streetview. The app supports iPad, iPad 2, iPad 3, iPad 4, iPad Air and iPad mini and lets you share each workout with friends and check the progress in your iLog. The XC-150i is very nice piece of home gym equipment. I chose it off the back of reviews and am very pleased with its smooth and natural stride. I'm 6' 2" tall and this elliptical is both comfortable and stable to use. Also, I really enjoy the interactive features as it provides plenty of variation and it helps greatly with motivation. The 150i is very quiet in use and can be used at any time without disturbing others. Love this cross trainer! I used to do a lot of running, but have been in need of an alternative since developing a knee injury and decided on an elliptical to get low impact exercise. I chose the XC-150i as I was seeking a high quality product that'd actually be used and I've not been disappointed! I'm able to get a total body workout within 45 minutes! I typically use the pre-set Hill workout on the console and tweak the resistance manually when needed. I'd honestly recommend this machine to all runners who still want to get a decent cardio workout, but have been let down by their joints! I was looking for an interactive machine at a reasoble price with a long enough stride length that would suit someone of my height (184cm). Have to say that the XC-150i has been meeting & exceeding my high expectations! Being a substantial machine, I feel secure when using it as it's very stable with no wobbles and the resistance range on offer is great. Linking it up to my iPad is easy and I do enjoy using the tablet to control the machine and record my exercise statistics. Moving it about is possible using the transportation wheels, but it is a very heavy machine! I purchased the XC-150i a few months back and so far, I'm very pleased with it. 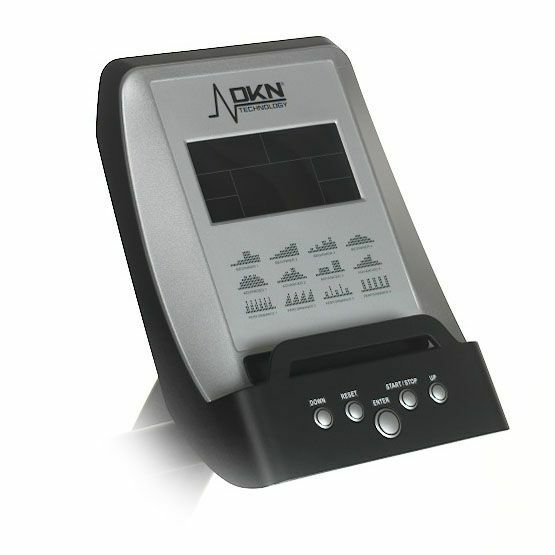 It's clear that this DKN is well designed and built with quality components to a high standard. I'm a little overweight and the machine is stable in use and has a natural, fluid motion. I mainly do fat-burning sessions and make good use of the pre-set programs on the console. Really good value for money! I chose the XC-150i thanks to its long stride length and good resistance range. I use it every second day exercising on one of the advanced workouts. I really like its modern design and flexibility. The console is also easy to read and allows for a good workout control. Good value for money! The XC-150i is great! 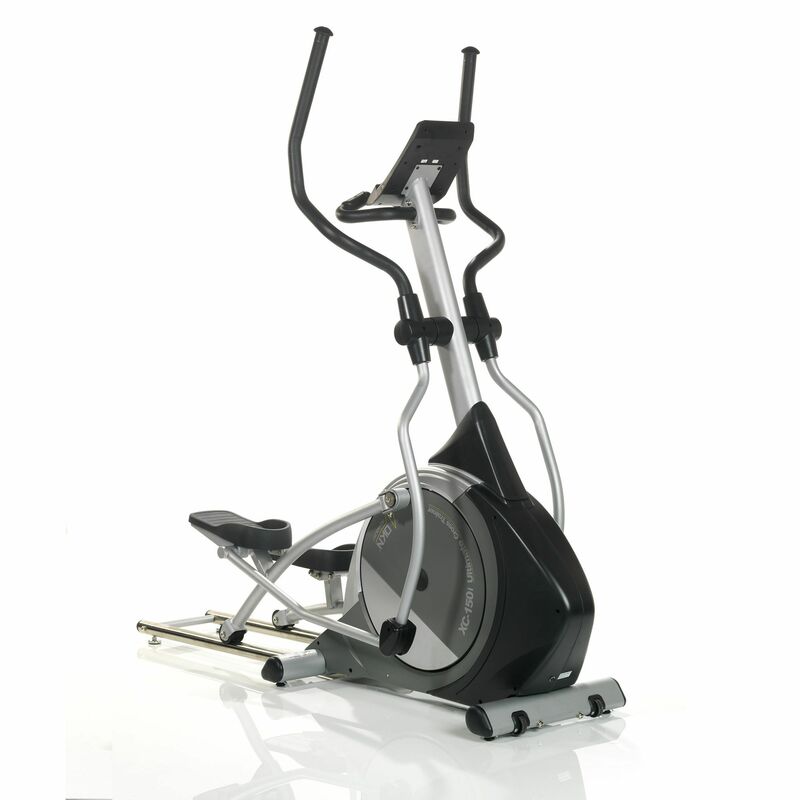 It offers a good range of workout options, long and smooth stride and has a wide resistance range. It is also iPad compatible, which makes my workouts much more interesting. This DKN is definitely worth its price and provides with a really exhausting workout each time I use it! I decided on this model because of its iPad compatibility. I really like the interactive workouts, already tried the DKN motion app and street view exercising is great fun. I exercise daily, setting one of the internet workouts, so I can try something new each time. The build quality is definitely solid and has nice, modern design. Also the resistance range is impressive and enables for a challenging workout. I did have some problems with installation as parts are quite heavy and build-up process is complicated. However, when the machine is ready it offers great workout possibilities. When my old treadmill broke, I decided to buy a cross trainer to change my workout routine a bit. I chose XC-150i, because of its impressive stride length and nice interactive features. I exercise on a daily basis using Manual option as I prefer to control resistance myself. So far the machine works perfectly: it's really quiet and comfortable to use. I’d definitely recommend it to others. for submitting product review about DKN XC-150i Elliptical Cross Trainer.